After some more work I came up with a better solution written on C# by using Open Software’s UPnP stacks. The advantage is that the whole solution is installable and works out of the box. Every user is only responsible to edit the UniqueDeviceNames.ini file in a proper way. We assist this step too. 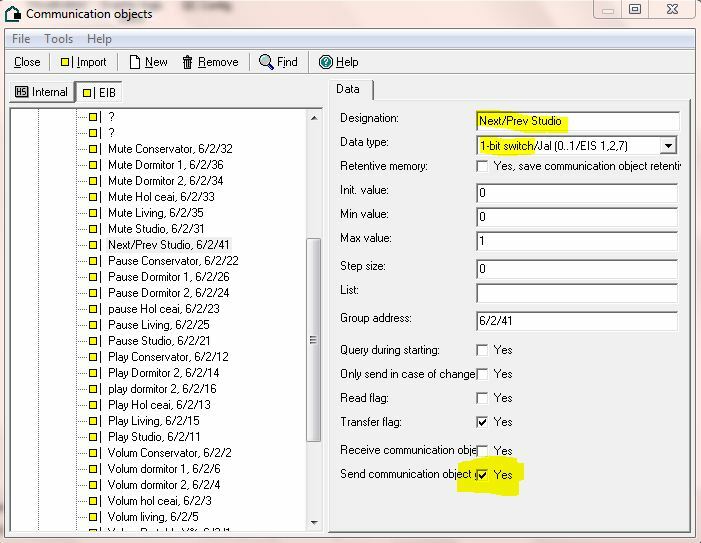 A KNX installation and properly defined group addresses (see [commands list] section of the ini file). 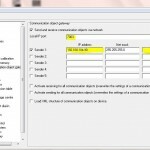 Also you need a KNX/IP interface to be able to transmit selected KNX telegrams via IP network. 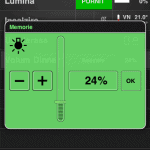 In particular, a Gira HomeServer can perform this function. 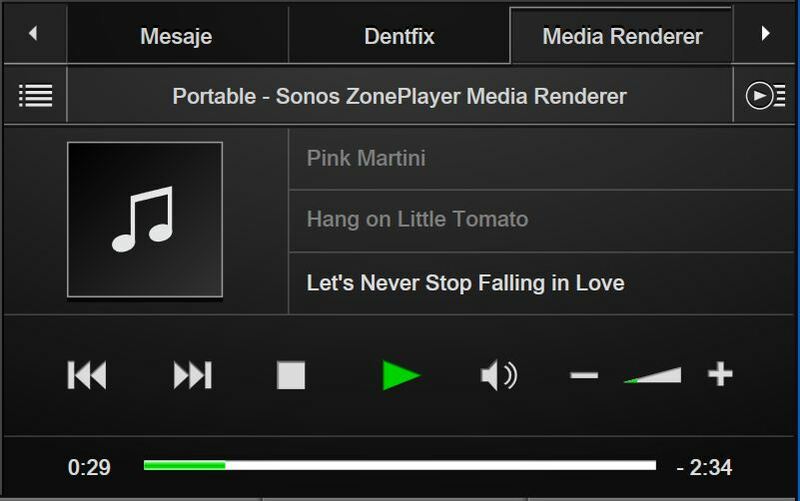 A Sonos system. We will discover all online ZonePlayers and put them in a text file for your convenience. 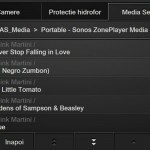 Do not mind anymore the complicated IDs, will use only friendly names as you see them in the original Sonos Controlles. 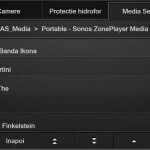 The Sonos KNX interface Setup v1.0.0 kit from here. PLEASE DO NOT INSTALL THIS VERSION ANYMORE! CHECK BELOW FOR UPDATES! Double click on setup.exe and follow the directions on the screen. Accept all security warnings (windows and firewall). Remember the installation folder location. edit the file UniqueDevicesNames.ini and make sure to use proper group addresses and zone player names in sections [map_to_zone] and [map_to_command]. For a list of available zones see UniqueDevicesNames.txt and for a list of available commands see the [commands list - this section is only informative] section. 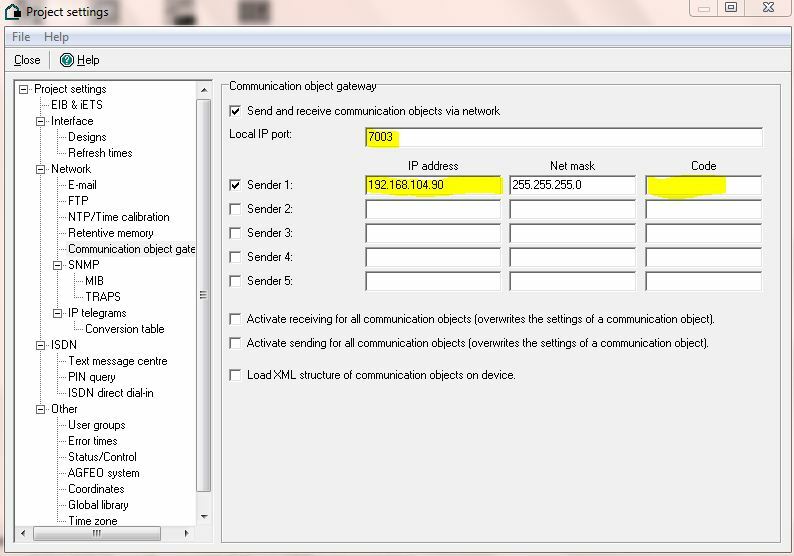 Also make sure you input proper IP and port addresses for the KNX IP interface. 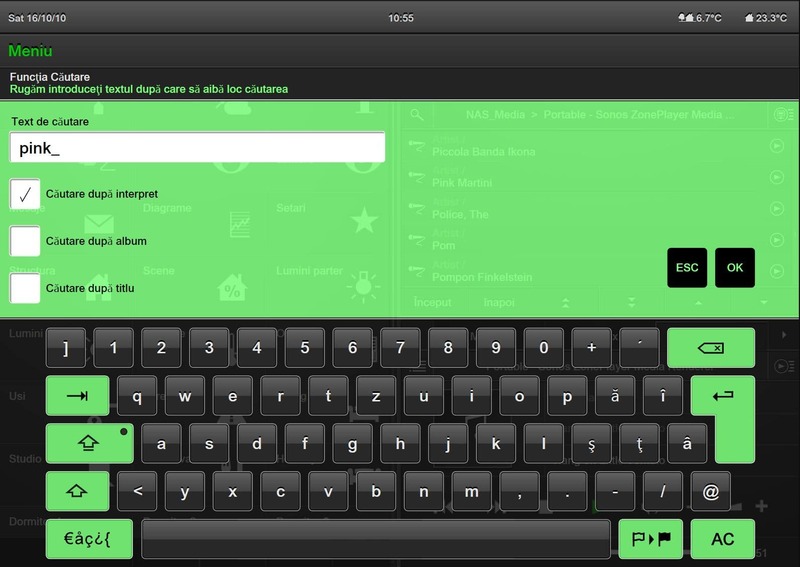 Stay tuned, I will post a Windows form application with identical functionality soon. Just look at the form and see if you can properly receive the KNX telegrams. 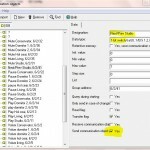 The source code (VS2010 solution) is available upon request. 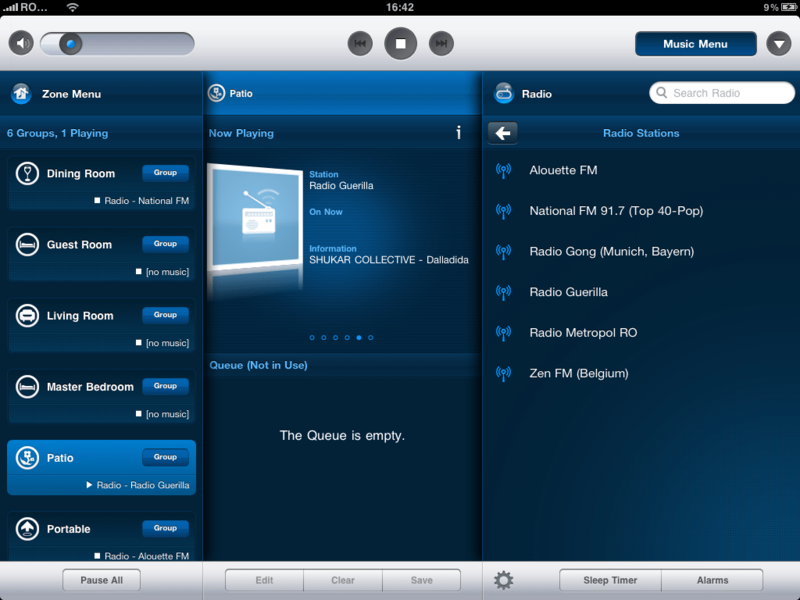 As a big surprise I discovered the UPnP plugins for Gira HomeServer QuadClient from the latest buid of Expert software in conjunction with QuadClient 1.2 as a client is able to control most of the functionality of the Sonos system. There is still no access to music services such as internet radio, deezer or local audio plugs at the zone player. While every zone player is visible as a media server and all these services are listed, they come empty and there is no command to refresh their content. There is no linking and unlinking commands for zone players. 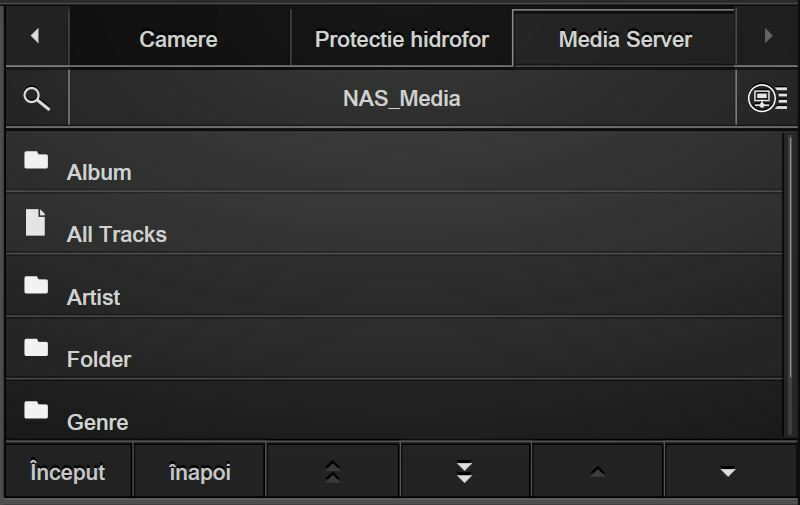 Just add UPnP Media Server plugin in Quadrant 3 and UPnP Media Renderer plugin in Quadrant 4 so both can be visible in the QuadClient at the same time. 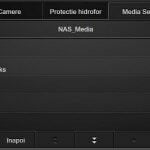 Display both media servers and media renderers quadrants at the same time. 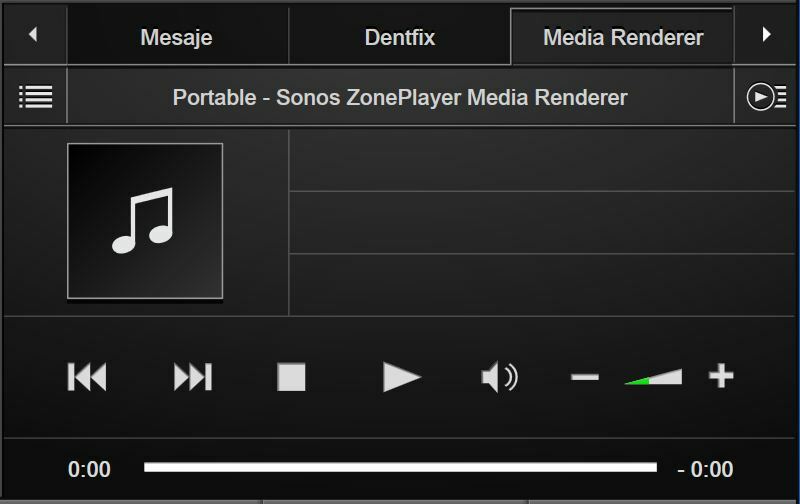 On the media renderer pane display your preffered Sonos Zone Player or local QC player (which integrates the computer’s media player). 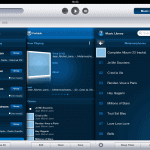 Access your desired media server and select your music. Click play and the music becomes live. 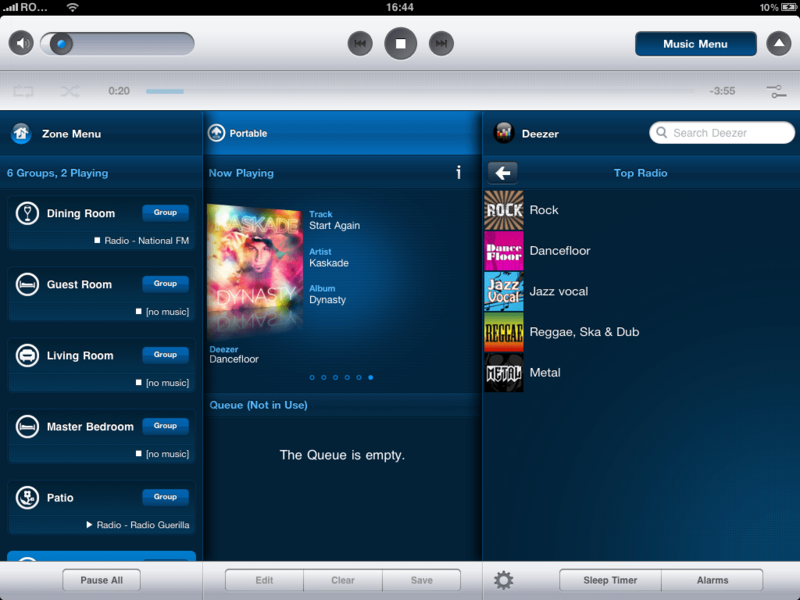 Sadly, the UPnP media plugins cannot be exported yet for the iOS apps clients. This project occupies my mind for some time and recently I got closer to a working solution. Actually I already have something working in place but at this stage the solution looks quite ugly and I would not recommend it but only for the very enthusiastic users of KNX, Sonos and Gira HomeServer. You should have a Windows based computer in your network to run the solution. Download and place ZPCMD.exe file in the root folder (C:\). 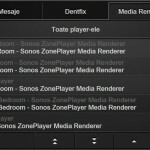 Go ahead and control your zone players from your KNX devices. Please keep an eye for firewall warnings and allow SonosHS to connect and access the disk system. Save those confirmations in your firewall rules. Please note this is a very incipient implementation and is not very well tested. 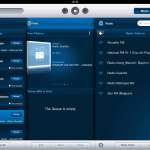 There is a limitation that you need to provide audio content for your player beforehands, from this solution you can only control the volume and the transport commands of the player. You can use the project posted at the end of the article to modify it and get your own implementation. 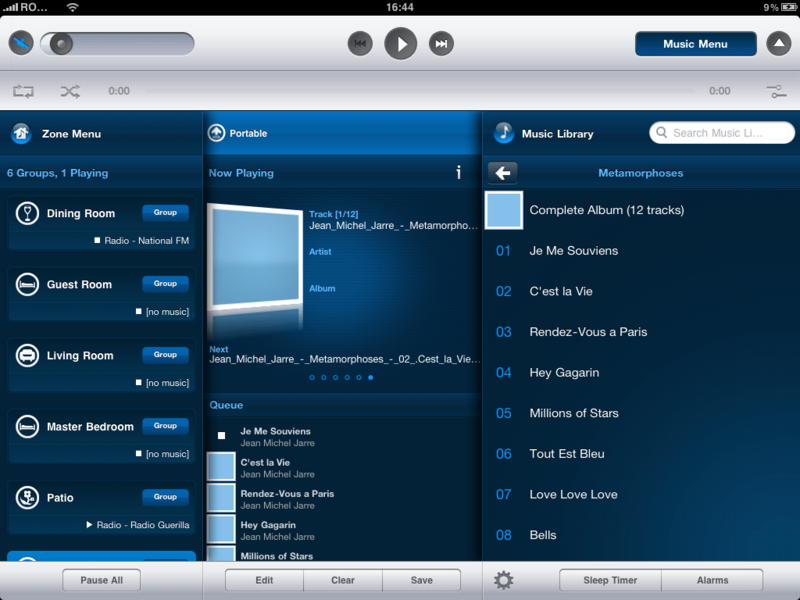 Please note that this would be a less desired solution at least for the visualisation part. 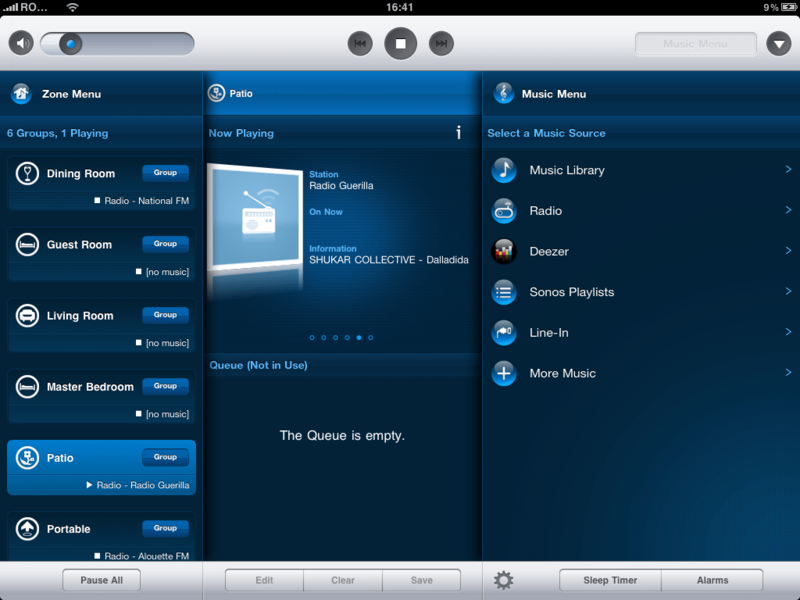 The best solution would be to generate a whole new plugin for QuadClient in order to control all Sonos installation from the HomeServer itself. Gira already provides such plugins for several multiroom audio systems and may have plans to add Sonos on the list. Or not. Until then I will stick with this solution. 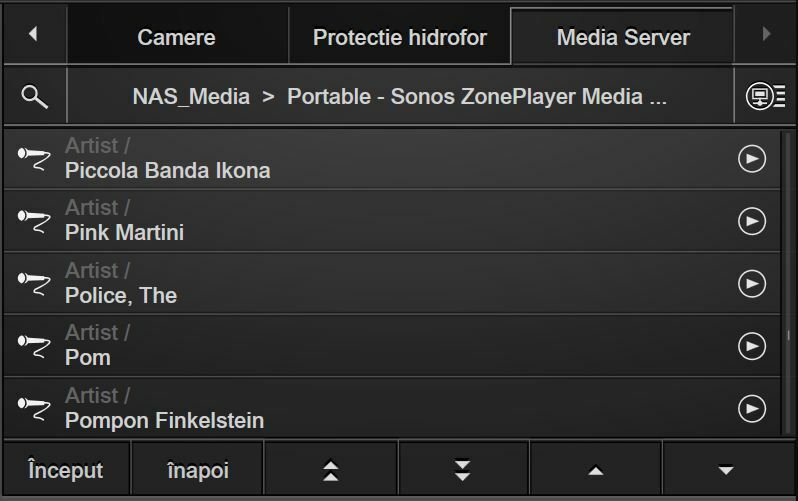 Update: I just tested the new Expert 2.5 plus 2.5 firmware and it appears the UPnP plugins in Quad Client work just fine with the Sonos system. I will post a new article about that. 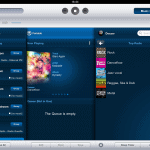 Still the project presented here is useful if you want to control the Sonos zone players from the KNX devices through group addresses and integrate music in scenes and so on. The source code can be found here (REMOVED, see newer posts). I cannot provide any support at this stage, posted information is just for community preview. 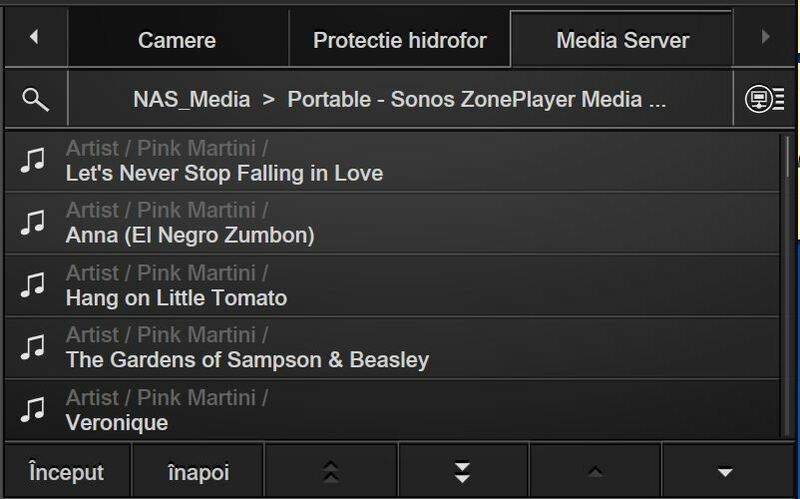 A apărut versiunea 3.3 a aplicațiilor SONOS (controllere și firmware), prin urmare utilizatorii pot deja să își actualizeze sistemul SONOS. Odată cu această versiune s-a lansat și controller-ul pentru Apple iPad – vedeți câteva capturi de ecran mai jos. 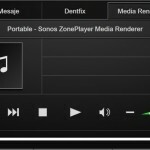 Ieri a fost lansat un upgrade la versiunea 3.1 a sistemului de operare al echipamentelor Sonos. 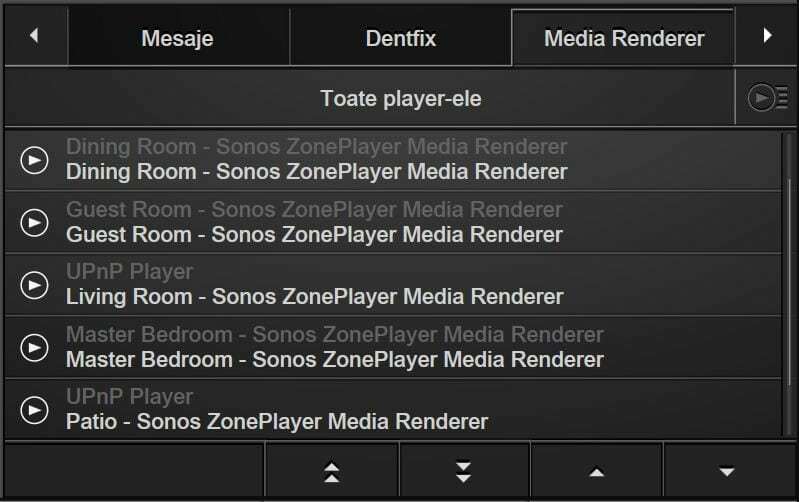 Procedura de upgrade este automată, toate playere-le Sonos fiind aduse la zi în câteva minute. Noutăţi: icoane îmbunătăţite, posibilitate de a comunica pe Twitter programul muzical curent. 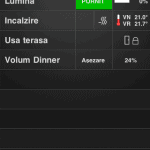 Chiar dacă au apărut producători care integrează audio în instalaţiile KNX, de cele mai multe ori soluţiile acestora sunt prea scumpe. 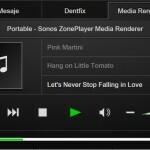 Dacă deţineţi deja iPod Touch sau iPhone înseamnă că deţineţi controlorul în mod gratuit (instalaţi aplicaţia Sonos Controller din App Store) şi cu el puteţi comanda oricâte playere Sonos.